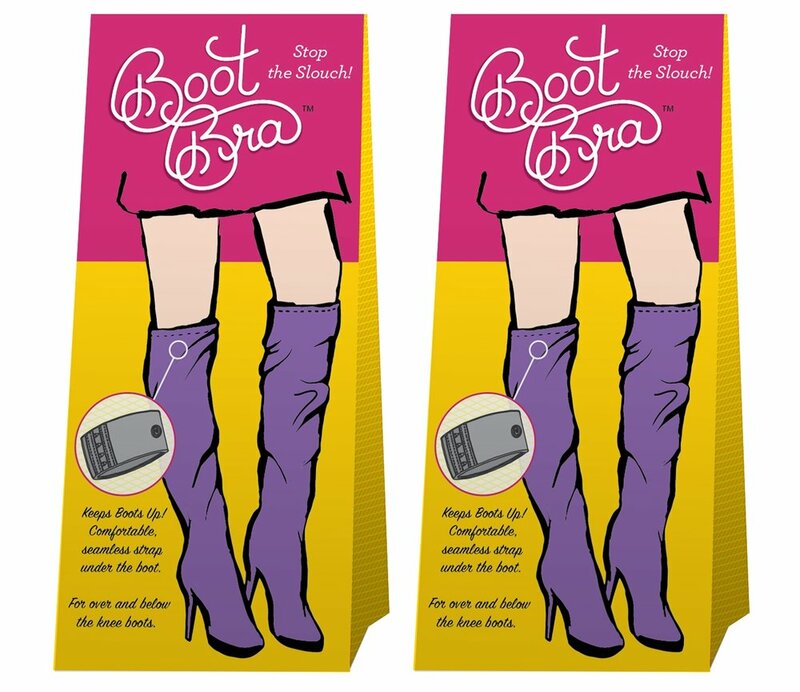 BootBra is a product designed to hold up knee-high and thigh-high boots, stopping the boots from slouching when women are wearing them. Often BootBra sells out on Amazon and needed a suitable package for the consumer facing product on shelf. PLAY helped with shelf strategy and all creative concept/execution. Ultimately, this resulted in a new logo, tagline, original illustration, package copy and package structure. Upon completion, Rebecca, BootBra's founder exclaimed the package design sets the product apart from other packaging on the shelf, is easily seen from a distance and draws the consumer in. PLAY pulled from lessons learned while designing packaging for SPANX, making the design bright, fashionable and modern, while educating the consumer on the product's function. Player and Wilcox design/illustrated the package, finding inspiration in Art Nouveau, but with a modern twist. Look for a BootBra at your local Department Store soon. Can't wait, jump on Amazon and get it there! This is the mock up and based on the final die line.